BR Family Assets Pte Ltd was formerly known as Family Assets Pte Ltd.
Our team is passionate about helping you plan for the future. From taking care of loved ones to ensuring business continuity, we'll help you work towards achieving peace of mind. "It's not what we do, or how much we do, but why we do it. Helping clients tide through trying circumstances is what matters." BR Family Assets provides honest, ethical, and down-to-earth estate planning services at reasonable prices so that we can make estate planning accessible to everyone. 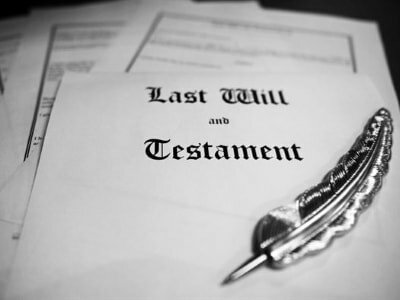 Whether helping you draft wills and trusts, or advising you on lasting power of attorney or advance medical directives, our team of legally-trained professionals ensures that your wealth and assets will be transferred to the people you choose, in the manner of your choosing, and that decision-making has been planned for. We believe that you work hard to take care of your loved ones and want to ensure that they continue to be cared for even after you pass. We're here to guide you through that process with insight, sensitivity, and practicality. We strive to make estate planning affordable and accessible to everyone. We don't draft documents just for the sake of it. We go the extra mile to understand your needs so that we can help you achieve your estate planning goals. Every client's circumstances are unique, and sensitivity is just as important as insight and expertise. Trusts enable you to entrust assets to someone to manage for the benefit of another. Empower others to make decisions on your behalf if you no longer have mental capacity. If you do not want to be put on life-support in the event that death is imminent, consider issuing an AMD. The Singapore courts require an original will. Store yours securely with us.